Let us make your cruise a breeze. 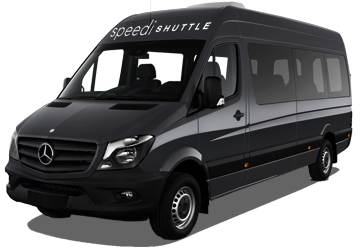 Don’t stress over transportation, SpeediShuttle let’s you avoid cruise parking so you can drive to/from the harbor with professional shuttle services. Our Hawaii cruise shuttles are the best way to start your trip and set sail for adventure. Cruise transportation services are available from hotels, airports, or any location of your choice. Our group charter shuttles are the best way to get a group, family, or large party to a cruise in Hawaii. Our cruise shuttles include Mercedes-Benz luxury shuttles with room for 11 passengers! Nothing starts your vacation like SpeediShuttle; convenient cruise ship pier service to/from your hotel or wherever you’re staying. Avoid traffic and cruise parking fees with a stress-free shuttle experience. Cruise season is year-round thanks to Hawaii’s always beautiful weather. Our shuttles are convenient for visitors coming in from a cruise, or for just taking a short trip around the Island. Honolulu's main cruise terminal is the Port of Honolulu. The Honolulu Cruise Port, also known as Pier 2 Cruise Terminal, is where most ships dock in Oahu and just a few minutes drive from Honolulu International Airport (HNL). Popular cruise lines that frequent Hawaii include Norwegian Cruise Line, Princess, Celebrity, Royal Caribbean and Carnival. A popular cruise stop and destination for cruise passengers is The Aloha Tower Cruise Terminal (Pier 11). It's located closer to Honolulu's downtown district, which makes it easy to do a little a shopping. The Aloha Tower Marketplace is right next door and has 30 stores and 8 restaurants all within easy walking distance of the port. Book your cruise transportation with SpeediShuttle for safe and fast service to Honolulu Cruise Port, and piers and dock across Hawaii. 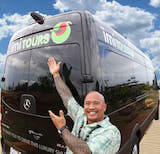 Cruise shuttles are available in Oahu, Maui, Kauai, and Hawaii.